A question about Italian block-printed paper on the the EXLIBRIS-L listserv a couple of weeks ago reminded me that we have several lovely examples in our collection. I scanned all the examples I could find and put them in a new album, Italian block-printed paper, on the Rare Book Collection’s Flickr site. 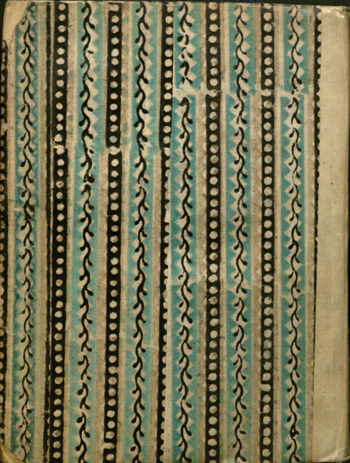 Rosamund Loring, Decorated Book Papers (Cambridge: Houghton Library, Harvard College Library, 2007). Richard J. Wolfe, Marbled Paper: Its History, Techniques, and Patterns (Philadelphia: University of Pennsylvania Press, 1990); see especially this excerpt on Google Books where Wolfe discusses the role of the Remondini family in the manufacture of block-printed papers). Tanya Schmoller, Remondini and Rizzi: A Chapter in Italian Decorated Paper History (New Castle, Delaware: Oak Knoll Books, 1990). “Blackstone Goes Hollywood” is the latest video production by our friend Mark Weiner. What better location to shoot a video about Sir William Blackstone than our Paskus-Danziger Rare Book Reading Room, home to the world’s most comprehensive collection of Blackstoniana? And there is certainly no one better to interview than Wilfrid Prest, Professor Emeritus at the University of Adelaide and the world’s leading expert on Blackstone. You can view “Blackstone Goes Hollywood” on Weiner’s Worlds of Law blog, and on YouTube. In addition to talking with Mark Weiner about Blackstone, Prest spent time working with me on an upcoming exhibit. 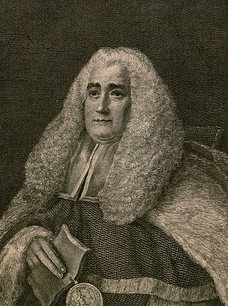 In Spring 2015 Prest and I will co-curate an exhibit marking the 250th anniversary of the publication of Blackstone’s Commentaries on the Laws of England, the single most influential book in the history of Anglo-American common law. Plans are for the exhibit to go on display March-June 2015 at the Yale Law Library, and then travel to the Middle Temple in London in Fall 2015, and end up at the University of Adelaide in December 2015.